In our craft, every action has a deeper meaning. Each step in the process, from tree to flooring or wall tile, is well thought out. 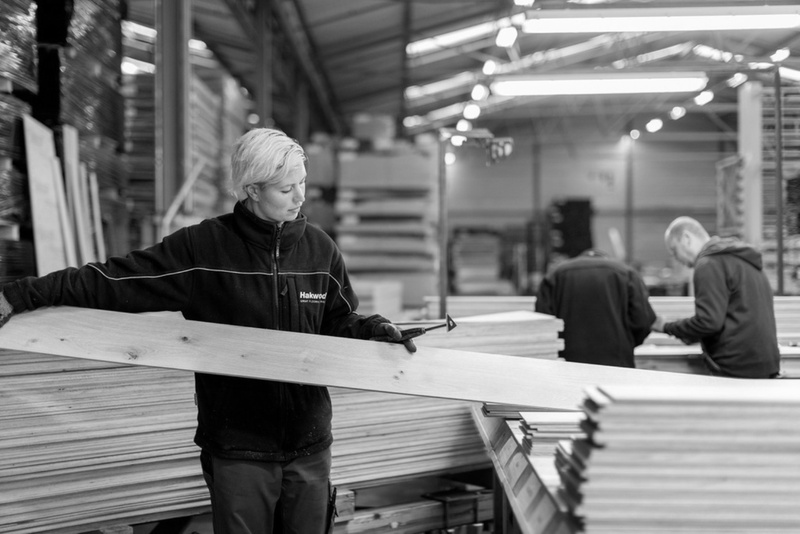 In the third step in the production process, the wood enters the factory. The frame saw is the first test. 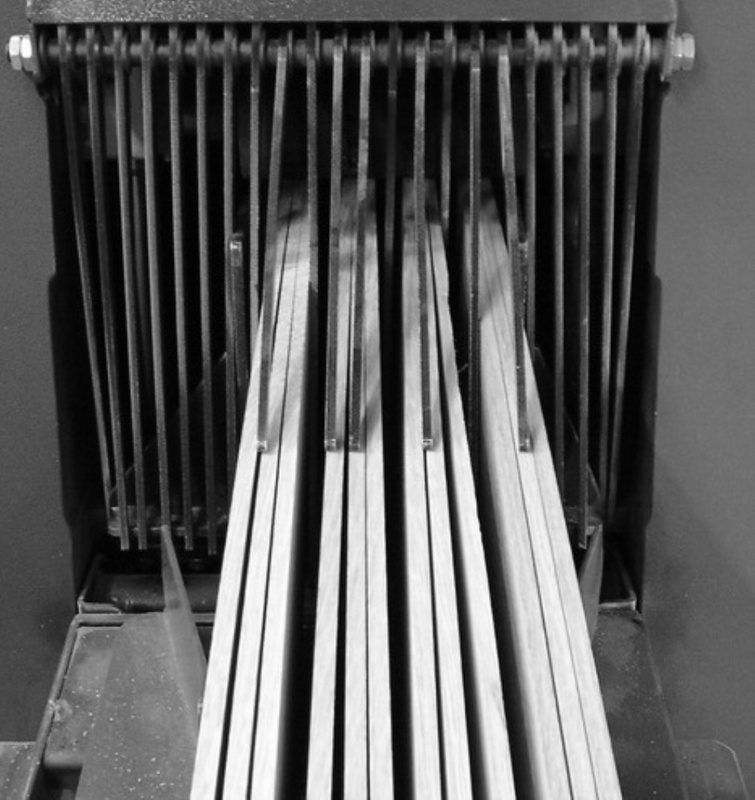 Because the wood has been dried so calmly, perfectly straight lamellae roll from the machine. Our team examines the lamellae one by one in order to determine the grade. The number and size of the knots determine the grade. In the lower part of the tree the timber is the most pristine with few to ‘light’ knots. As we climb higher in the tree, more 'heavy’ knots are found where the limbs begin to grow. With our extensive choice of grades, determining the grade requires trained eyes and full attention. For the benefit of all, our colleagues flip the lamella over for one more look. For the simple reason: we want the best looking side to be visible when it is placed on the backer.